Browse: Home / 2018 / February / 17 / Will Terence Crawford Learn from Roy Jones, Jr’s. Basketball Past? On Friday February 16th in L.A. for the NBA All-Star weekend former world champion Terence Crawford played in a Celebrity game. With the number “O” on his jersey Crawford played quite well. Crawford scored 9 points, got 12 rebounds and made 3 assists. 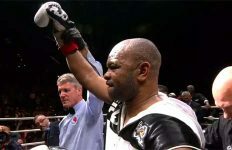 His performance reminded this write of when Roy Jones, Jr. actually played in a USBL league game at the Jacksonville Coliseum the day he was to fight that night. It was obvious Jones made a mistake playing in a basketball game that day for his Jacksonville team. He fought Canadian Eric Lucas, 19-2-2 that night at the Jacksonville Coliseum in defense of his IBF Super Middleweight title. 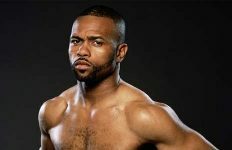 On June 15th 1996 allowing Lucas to go 11 rounds that night when an earlier stoppage was expected deprived the fans of the “real Roy Jones, Jr.” even if it helped his opponent Lucas. Jones was ahead 110-99 on two scores and 110-98 on the other Judges score when Lucas failed to come out for the twelfth and final round. Jones improved his record to 32-0. 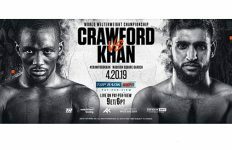 Crawford has an upcoming title challenge of WBO Welterweight Champion Australia’s Jeff Horn in which he is a heavy favorite. In the writers opinion Horn was solidly beaten by former world champion Manny “Pac Man” Pacquiao previously on July 2nd 2017 in defending his WBO Welterweight title in Brisbane, Australia. Judge Waleska Roland’s score of 117-111 should have been investigated. Chris Flores and Ramon Cerdan had it 115-113. This writer had it 118-112 for Pacquiao. Writer’s opinions for Pacquiao to retire afterwards were almost laughable. If anyone should retired maybe it should be Jeff Horn. Though it’s doubtful Crawford will be joining any basketball league or even playing pick-up games while in training for the Horn fight especially knowing of the mistake Jones made that night back in 1996. The problem with him playing in this Celebrity game is a possible injury such as a sprained ankle, receiving a cut or breaking a hand. Odd thing is Jones improved his record to 32-0 the night of the Lucas fight and Crawford’s current record going into the Horn fight will be 32-0. Coincidence? Stranger things have happened in the sport of boxing!